As a highly skilled team of dental professionals, we pride ourselves on delivering a family-orientated experience in a welcoming and relaxed atmosphere. With more one-on-one time and tailored treatments, we like to think that we’re your ‘go to’ Cranbourne family dental practice. We’ve got Melbourne family dental care down to a fine art! Founded in 2015, Supreme Dental Cranbourne is centrally located in a modern, comfortable facility with free parking. Step inside and patients can count on state-of-the-art equipment including the latest OPG and 3D Cone Beam technology. 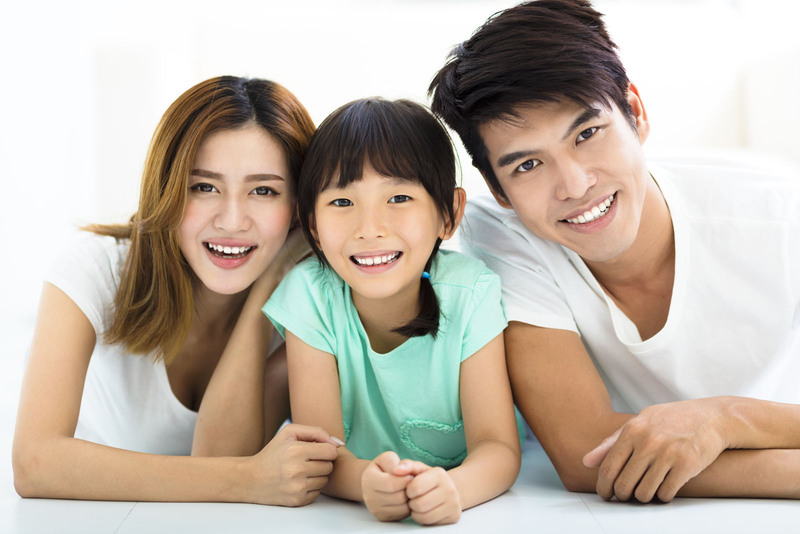 In addition, we have a team of experienced dentists who believe in a gentle hands-on approach to a wide range of cosmetic, restorative, orthodontic, and general treatments; plus a friendly, patient-focused multilingual team that speak your language, whether that’s English, Mandarin, Malay, Korean or Hokkien. We’ve got family dental care down to a fine art. Serving the communities of East, West and North Cranbourne, Berwick and Narre Warren, our dentists in Cranbourne have a particular interest in kid’s dentistry, as well as adult and teen orthodontic treatment, full and/or partial dentures, and dental implants. With a soothing chairside manner we also welcome nervous or anxious patients of all ages. So whether we’re cleaning, removing, scraping, protecting, restoring, or filling, we guarantee that you and your family are in safe and capable hands. We strongly believe in the ethos that everyone should have access to first class dental care in Melbourne and we don’t want anyone to miss out. So whether you’re 9 or 90 and seeking a cheap dentist in Cranbourne, we offer a number of ways to pay including dental insurances, payment plans, credit cards, Medicare government CDBS vouchers and Department of Veteran Affairs cards. If you’d like to book an appointment or consultation, or feel like popping in to say ‘hello’ then we’d love to hear from you. Contact us on (03) 5995 3819 and seek out the best community dentist in Cranbourne by far! Dr. Jeff Lim graduated from the University of Melbourne with a Doctor of Dental Surgery Degree (Melb) and is our Principal Dentist here at Supreme Dental Cranbourne. He is passionate with all facets of Dentistry Practice and focuses on delivering high quality professional dental treatments. He has special interests, in particular, in Aesthetics Dentistry, Root Canal Treatments and is a firm believer in Preventive and Conservative Dentistry. Jeff is very great with treating nervous patients, both adults and children. He is known to be very gentle and caring in his treatment. He is formerly from British Columbia in Canada and can speak Korean and English. During his free time, he enjoys cooking new recipes, trying new restaurant food in Melbourne & playing in the park with his 2 year old daughter. Dr. Sol Lee graduated from the University of Queensland with her BDSc Degree (Queensland). After graduating, she worked in South Australia before travelling up the coast to Gladstone, Rockhampton (Qld) and finally Cranbourne West, Vic 3977. Sol is passionate about all aspects of General and Aesthetic Dentistry. She is very particular about providing professional yet gentle dental care to her patients in a safe, assuring and soothing environment. Sol loves to cook and indulge the staff with her home baked treats. A lover of dogs with two miniature Schnauzer, Bella and Toby who are often up to mischief when she is busy baking. When not cooking, Dr. Sol likes to spend her weekends fishing and going to the movies.